You will find holiday rentals and holiday homes in Croatia here. 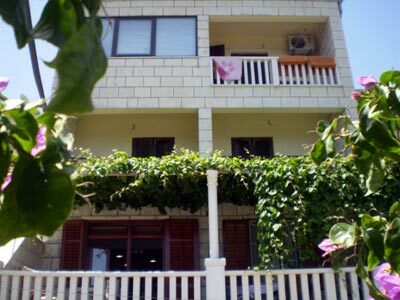 Beautiful sea view apartmants in Bol, island Brač, Croatia. from 40 euro per night! We are located in a quiet part of a beautiful pine-wooded peninsula Lapad, about 3 km from the Old Town. The apartment Blue Romantica is central part of ex Benediction monastery St. Mary of Castell which is founded in the year 1150. Our house is completely new. It is located 20 m from pebbled beach with sand inside, and 500 m from small nice place called Draèe(80 km from Dubrovnik). Rent 2 apartments in Croatia, Adriatic coast!!! Each apaartment have 2 separated rooms, kitchen, bathroom, 2 balconies,TV, sat, parking place, sea view. Planning your summer vacation in Trogir, Croatia and want to explore its rich cultural heritage? A second floor apartment with two bedrooms in a block of just five apartments complete with communal swimming pool. Crikvenica,small tourist town coast of the Adriatic sea.